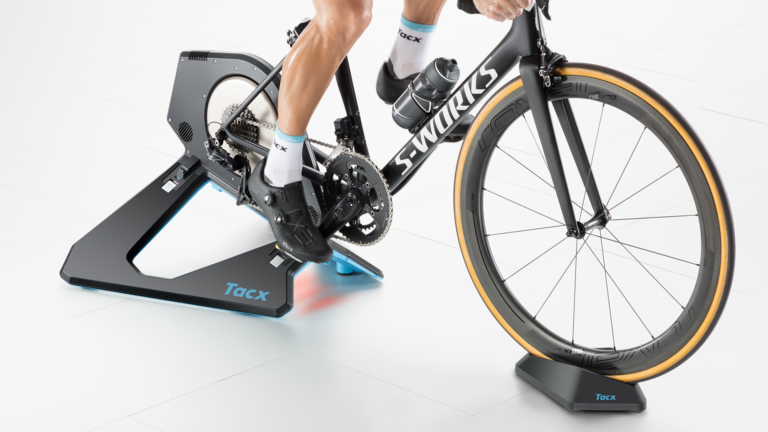 Tacx has added more data mapping capabilities to its NEO 2 Smart trainer for 2019, allowing users to now analyze both right and left leg power output, as well as better gauge their cadence thanks to an updated sensor. The NEO 2 Smart trainer has also been given more memory in anticipation of new features being added in the future, along with a revised computer chip that provides smoother, quieter and more responsive resistance. The ability to accommodate wider axle spacing such as 142x12mm and 148x12mm has also been added to the trainer, allowing for a greater range of bikes to be used. “The pinnacle of indoor bike training, the Tacx NEO Smart, is made even better. On top of immersive features like Road feel, Dynamic Inertia and Descent simulation, this new direct drive also features Pedal stroke analysis. 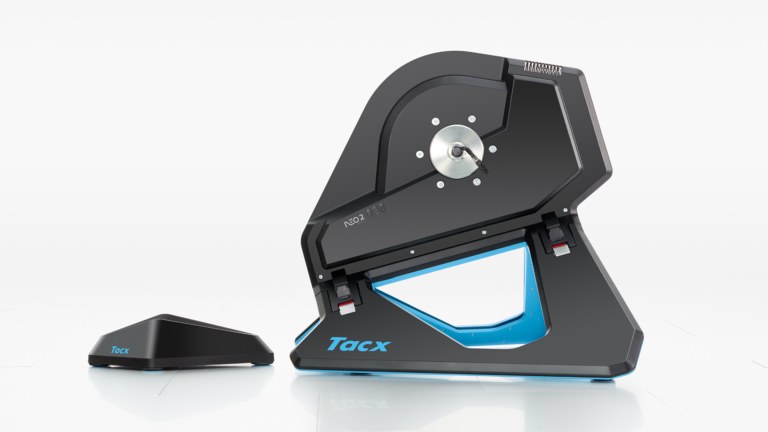 It is without question the most silent, realistic and accurate bike trainer available”, says Tacx. The NEO 2 Smart trainer will retail for $1,399.00 in the USA, with availability starting in mid-December. For those who are not familiar with the Tacx Desktop app yet, don’t get confused with Zwift because this is a very different kind of training software. 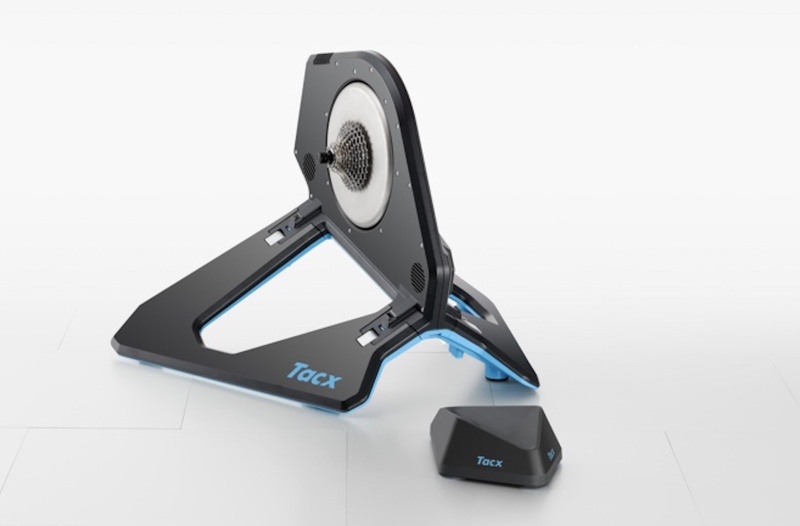 While the popular Zwift is a virtual reality videogame, the Tacx Desktop app contains real-life surroundings and offers efficient and goal-based training indoors. When Tacx launched this app, it was mainly a real-life video player with a large high quality film collection. It enabled users to ride scenic routes from all over the globe, like beating the steep Alpe d’Huez or to conquer the cobblestones of Roubaix. By adding new features, it now offers users the ultimate freedom to cycle anywhere in the world and train exactly as they see fit. It was already possible to ride against recorded opponents, whether it was the user’s own fastest time or against the recorded attempts of his or her friends. But now Tacx has added live opponent that enables users to challenge other riders around the world on the same track at the same time. So, while they’re riding a film or a GPS track, users can now come across other riders who are cycling there live at the moment with this app. To find out if and where other riders are cycling live at the moment, users just need to open the Tacx Desktop app and they’ll notice if there’s a red live icon on the thumbnail of a film or GPS track. Moreover, Tacx plans to create a dashboard including a world map where users can see in real time where other cyclists are riding at that moment. By selecting a ride with live opponents, users can join them right away. In the Tacx Training app, it was already possible to import and ride GPS tracks, but now Tacx has transferred this feature to the Desktop app. All boundaries will literally disappear with this feature, allowing users to create and ride their own custom-made route anywhere around the globe. Furthermore, users can now experience these GPS tracks in 3D with Bing Maps on Windows 10 and Apple Maps on OSX. Users simply need to import their Strava rides or other GPS rides in the Tacx Desktop app and off they go. They can also select one of the many GPS rides uploaded by other users and if there’s nothing they want out there, they can create their own GPS ride. This is possible in Strava or just google one of the many GPS ride creators online. Besides the new films Tacx is adding monthly to the Desktop app, the company will also add special Tacx selected GPS rides on a monthly base. In order for users to be able to focus more on targeted training or for a specific goal, Tacx has also added structured training plans. Whether it is a FTP test, a block training with intervals, a steady climb workout or a training on a certain power or cadence level, it’s all there. Users simply choose one of the many existing structured Tacx workouts based on slope, power or FTP (available for different fitness levels) or pick one from the big library of workouts created by other users. When users know exactly what they want for a training ride, this can be easily set-up in the intuitive Desktop app, by simply selecting the type of workout they want to create (slope, heart rate, power or FTP), and in a blink of an eye you’re done and can start your own custom training. So how do I update my app? In some case this is done automatically. If the Desktop app icon is blue, then users will know they’ve got the updated version. If it’s still black, they can update the app manually in the Microsoft store (and by the end of the month in the App store). If you’re a new user, just download the app for free in the App store or Microsoft Store. In the free version users will have access to three Tacx films and three Tacx GPS tracks. Users can also select workouts and workout builder for free. 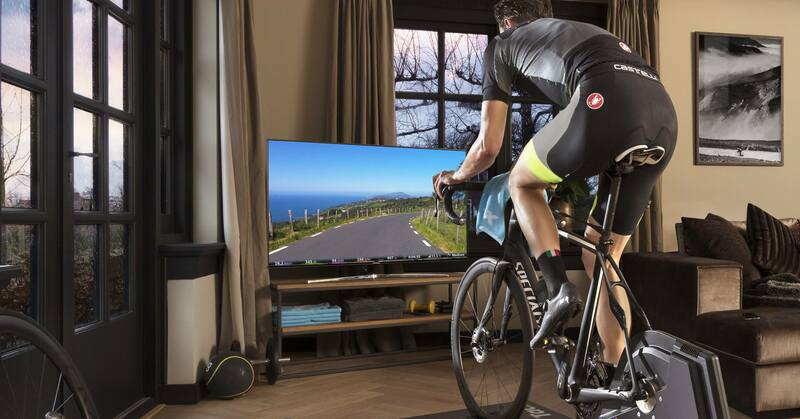 In addition, they can subscribe to Tacx Premium and get access to all features, training plans, films and GPS tracks. Users can now switch between the views by hitting the arrow keys on their keyboard. So, when users ride a film, they can press on the left or right arrow key and toggle from the film view to the GPS view or to the workout view, while also being able to view their power and other data on full screen.